C.S. Lewis College & the Arts – Cole Matson, Ph.D.
Posted on December 24, 2009 December 25, 2009 by Cole Matson, Ph.D. I have just returned from a week-and-a-half’s vacation with my family in India. We went from Delhi to Jaipur to Corbett National Park to Nainital in the foothills of the Himalayas. (Let me just say that the sunsets up there are absolutely gorgeous, and I could happily live as a hermit for a summer in sight of those snowy peaks.) I returned to Oxford with family in tow on Sunday to the sight of snow covering the ground. 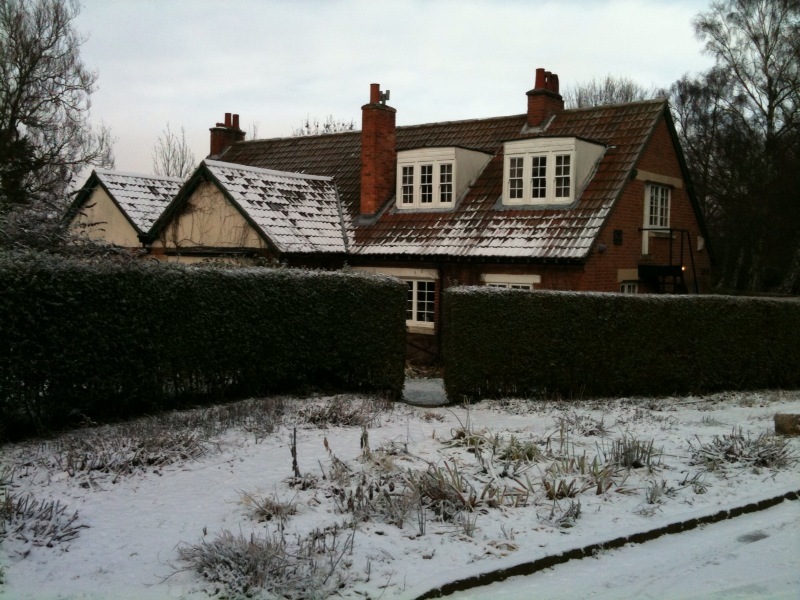 It looks like we’ll be having a white Christmas here at the Kilns! Announcing the founding of C.S. LEWIS COLLEGE! You heard that right, folks. After years of work, one of the C.S. Lewis Foundation’s two major physical projects – the other being the running of the Kilns and its programs – finally has a home, and a proposed start date. And I – and the other friends of the Foundation with whom I’ve spoken – couldn’t be happier. On the website linked to above, you’ll find information on the Dec. 16th announcement, including videos from the press conference with the participating organizations, and an information video on the plan for the College. There are also press documents and FAQs, as well as links to the venture’s partners. -C.S. Lewis College will be a Christian Great Books College with a School of Visual and Performing Arts. Denominationally, it will be “merely Christian,” open to all who hold the most basic tenets of the Christian Faith, including Protestants, Catholics, Orthodox, and others. -The College plans to enroll 400 students and maintain 40 faculty and 45 staff members when it opens. Subject to the accreditation process, the College plans to commence instruction in Fall 2012. C.S. Lewis College is exactly the kind of college I was looking for as a high school senior interested in both professional-level theatre training and a solid foundation in the liberal arts within a Christian academy. I didn’t find such an environment at the time (though I have since been informed of smaller Christian colleges that I have been told have excellent theatre programs, such as Benedictine College in Kansas), so I was split between my two top choices. One was Wheaton College, which my father, grandfather, and several other family members had attended and loved, and which impressed me with its commitment to a solidly intellectual Christian environment and the warmth and fellowship of its students and faculty. The other was New York University, which had an academic culture that was the polar opposite of Wheaton’s (just how much so I was to find out later), but which had one of the top undergraduate professional theatre training programs in the country. Wheaton did not even have a theatre major. So, on the advice of my father, I chose NYU. My father knew that I wanted top-level training, and I think he also knew that he did not have to worry about me losing my faith in NYU’s strongly secular environment. I’ve often wondered if I made the right choice. I was greatly challenged by my teachers, made good friends, and gained a higher level of confidence in my abilities (and of course added a certain cachet to my resume), but the cultural atmosphere oppressed me greatly. The kind of theatre promoted at NYU – postmodern, experimental, and focused on Art for Art’s Sake instead of Truth, Goodness, and Beauty – was not the kind of theatre I wanted to do. On the other hand, I would not have received the same level of training at Wheaton, even though my artistic ideas would have been given much more support. I don’t want other young Christians following a vocation to a life as a professional artist to experience the same dilemma, and have to choose either a Christian academic environment or top-level professional training. Therefore, I hope that C.S. Lewis College will be able to provide both. I’m sure that it will provide a Christian academic environment that initiates the student in the life of the mind and the growth of the spirit, to the greater glory of God and for Christ and His Kingdom (to quote mottoes of the Society of Jesus and of Wheaton College, found carved in stone at their respective academic institutions). My hope is that the College will also be able to recruit top-level professors and instructors in the arts, that will not only be able to help their students grow artistically in Truth, Goodness, and Beauty, but also gain the cutting-edge skills required to succeed in the top rung of the professional artistic world. It will be the job of these professors and these students, as it is my job and the job of all Christian artists, to blaze a path for traditional artistic values in today’s artistic culture of death. And we can only do that through unassailable excellence in our own work. 1) A major in Theatre or Performing Arts (with a possible B.F.A. option). I would want to make sure I was receiving enough practical training to be competitive in the major professional markets of New York, L.A., Chicago, and the primary regional theatres around the country. I recognize, however, that a Great Books college usually requires the same curriculum of all its students, or at least a very similar one. 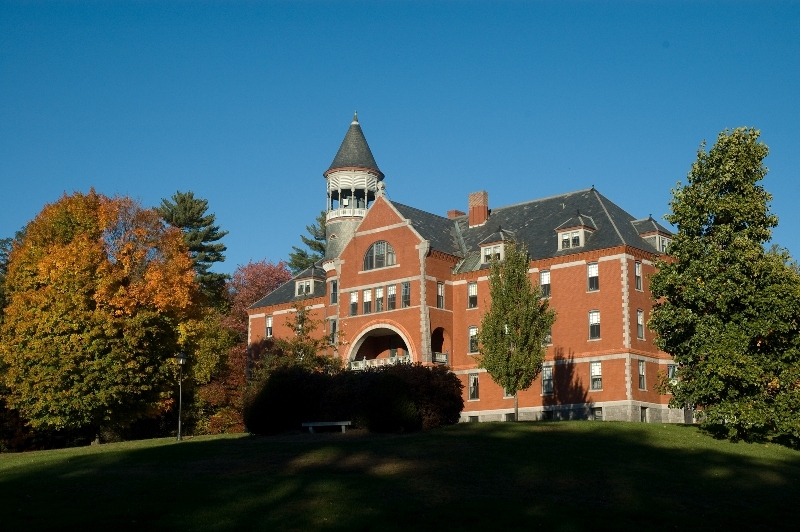 (Thomas More College in New Hampshire, for example, allows for tailoring of its largely uniform curriculum through the Junior and Senior Tutorials, Junior Project, and Senior Thesis, in which the student focuses on a particular area of study of his own choice.) A Great Books curriculum might similarly allow arts students in their later years to tailor their instruction by taking specialized training courses (like Performing Shakespeare, Musical Theatre, Commedia dell’ Arte), either through classes or independent or small-group study, or undertake an artistic thesis (like writing or directing a full-length play). Alternatively, if there were a B.F.A. option, arts students could study the same core Great Books curriculum as all other students their first two years, and replace one or two areas of the Great Books curriculum with training courses their last two years. (Great Books curricula are generally divided into areas such as Literature, Sciences, Philosophy, Theology, History, etc. The Masters program at St. John’s College allows graduate students to choose four out of five areas in which to study.) I doubt this is the direction in which the Foundation is going with C.S. Lewis College, but it might be a good option for another institution. My biggest concern as a prospective student interested in acting professionally would be that I would spend all my time reading and discussing books and writing papers, but very little time actually learning and practicing the skills needed to pursue my craft. If I saw on a website a separate School for the Visual and Performing Arts, I would assume that as an arts student I would be carefully trained in my craft, as well as studying the Great Books. 2) Discussion of the Great Books of the arts (especially Christian), with participation by all students, but especially arts students. I would be looking for the Great Books of the arts, and not just literature, to be covered by the Great Books curriculum. For example, Aristotle’s Poetics would be a basic read for all students, as well as the experience of Shakespeare as drama, and not just as written literature. Students would be exposed to the Great (non-written) Texts of the arts, such as the paintings of Fra Angelico, the music of Palestrina, the medieval Mystery Plays (in performance), the architecture of the great Gothic cathedrals. The Way of Beauty program at Thomas More College does this well. It includes instruction in the singing of the psalmody in the Divine Office, for example, and it’s a core part of their curriculum. Arts students may spend more time on the Great Books of the arts, but all students should be exposed to them. 3) Development of an artistic worldview and discussion of the role of the Christian artist. I feel this focus is very much in line with the Foundation’s mission. In order to counter the prevailing artistic worldview of modern and postmodern art, in which all value is subjective and the purpose of art is the self-expression of the artist, we must provide students with an alternate way to view art, and their role in the world as artists. This means discussion of the role of the artist, especially the Christian artist, and an emphasis on the traditional artistic values of Truth, Goodness, and Beauty. This means asking the arts students to think about what they want to stand for, and what they want to communicate through their art. A possible project might be the creating of a personal manifesto for each arts student. I know some college theatre programs that require their students to take a senior-year “business of acting” course, at the end of which they create a personalized career plan in consultation with the teacher. They leave the class knowing in which areas of the business they want to focus their efforts (Shakespeare, stand-up comedy, musical theatre, film) and how to best market themselves in that area. Arts students at a Christian Great Books college could take a course on the vocation of the artist, which might include regular spiritual reflections on their vocation (perhaps with the guidance of a spiritual director chosen by each student), and which would culminate in the writing of a manifesto describing the artistic mission to which each feels called. Reflecting on the meaning of art and the responsibility of the artist would go far toward helping arts students graduate with a strong sense of vocation and artistic purpose, and with increased spiritual growth as Christian artists and as human beings. You know, I wonder if writing such a “vocation statement,” as part of a senior-year retreat or period of spiritual direction, might be beneficial for all students. 4) A strong ensemble theatre company with a Christian mandate, but not limited to Christian productions. This would be one of the trickiest accomplishments to pull off, but it’s something I intend to try someday. (More on this theme later after I finish reading my current book, God Off-Broadway: The Blackfriars Theatre of New York by Matthew Powell, O.P., a history of the only professional theatre in the U.S. to have been run by a religious order.) Especially if there is minimal flexibility in the curriculum, I would like to see all performing arts students involved in regular practical production work with a theatre company that holds itself to professional standards. It may be entirely student-run, or it may be led or overseen by faculty, but the majority of the work would be done by the students, providing them with opportunities not only to perform, but also to direct, produce, design, write, stage manage, crew, etc. It would also reflect the artistic ethos of the college. I believe the most effective ethos would be one that both glorifies God and lovingly and manfully engages the non-Christian. The Lord of the Rings, in my opinion, is the ultimate example of the kind of art that we need more of. It’s accessible to and rings true for the non-believer, but despite not being explicitly Christian is at the same time deeply Christian. The Christian vision of the world is at the heart of The Lord of the Rings, but it is presented in a way that does not alienate the non-Christian. Instead, it helps him to understand what Christianity means through his heart, instead of through his head. It can baptize the imagination. There is room for art that is explicitly Christian and is directed to other Christians. We need that art just as much. But the world also needs art created by Christians that is directed to the general public, otherwise we’re just talking to ourselves. I would also not want the members of a student ensemble to feel unable to take artistic risks for fear of offending someone. There’s a very fine line between making powerful and possibly uncomfortable artistic statements out of a love of truth and with compassion for one’s neighbor, and making such statements out of a desire to be bold or to shock, or worse, out of a conscious desire to offend. Scott Walters, in his important blog post “Offending the Audience” (which I’ve come back to repeatedly), quotes Wendell Berry, who distinguishes between an artist who has the “intention to offend” and one who has the “willingness to risk offending.” I would want all theatre students to know that the intention to offend is incompatible with the practice of Christian charity. But artistis must sometimes have the willingness to risk offending, if what they are saying must be said. If they can say it without offending, though, so much the better. I just wouldn’t want a student theatre company to be de-clawed and limited to doing Neil Simon or dramatizations of Bible stories, for fear of stronger, meatier, and more intellectual and possibly controversial work. This is always a risk in the wider Christian theatre, where we’d rather be safe than risk going over the line. I don’t want to cross that line, any more than any other Christian does, but we may have to get pretty close to it sometimes. But as long as the students have charity toward their audiences and their fellow artists, I think they’ll be able to handle any potential controversy with grace and compassion, and will be able to pull back if they have indeed gone too far. In any case, practice doing solid, thought-provoking work, while feeling out what it means in practice to be a Christian artist, would be an invaluable experience for any arts student. What are your thoughts about the possibilities for a Christian Great Books college with a School for Visual and Performing Arts? What would you like to see in such a program? I have nothing to do with the creation of the curriculum or the founding of the College – I’m just a cheerleader and a provider of small financial contributions when possible – but I am very excited, and interested in seeing the development of a new curriculum from a college’s inception. As someone who wants to teach at the college level in the area of theology and the arts (especially exploring the areas of #3 and #4 above), I’m interested in your thoughts on the teaching of theatre in a Christian environment. What would you like to see? I’ll make sure the Foundation is aware of the existence of this post and of your comments and support. May you have a very merry Christmas, and a blessed New Year. I am so excited for the C.S. Lewis College! I do hope to attend it, if possible. I think the arts and great books being taught in a Christian environment will be a unique and amazing way to learn. In my area there is a small Christian arts college…it is a lovely school and the atmosphere is lovely as well. However, I chose not to attend the school as I felt it lacked something…and now, having done research and heard about this new college, I think one thing the school lacks is the presence of great literature. So I am very excited to watch the C.S. Lewis College become a reality, as it promises to posses everything I have been looking for in regards to education. The combination of Christianity with the arts in such a way is sure to be wonderful! Happy New Year to you too, Kathy! I hope all is well in Baltimore. I’m excited to hear that some new theatre companies are forming. What a wonderful convergence! It’s good to see your happy face on Facebook, and know that you are revelling in your great educational opportunity. I’m STILL jealous.